A qualified charitable distribution (QCD) is a distribution from an Individual Retirement Account (IRA)owned by an individual who is age 70½ or older, that is paid directly from the IRA to a qualified charity. Retirees or individuals age 70 ½ or older typically must take required minimum distributions from their IRAs. The semi-recent tax changes that occurred in 2018 caused more than just chatter amongst the population. These new changes created a greater incentive behind withdrawing from your IRA for charitable distributions, known as a QCD (Qualified Charitable Distribution). What exactly is a QCD (Qualified Charitable Distribution)? A QCD works in the favor of those over the age 70½ who are planning on donating to a charitable cause. This strategy allows one to transfer funds from their IRA directly to a charity without being counted as taxable income. Additionally, this is especially beneficial as the amount donated to the charity will count towards the amount the IRS requires to be withdrawn from qualified retirement accounts. These required IRA withdrawals are known as required minimum distributions (RMD). If you’re over the age of 70 and don’t necessarily financially need or want to begin RMDs, a QCD is a logical way of meeting minimum requirements without facing any drawbacks from incurring additional taxable income, such as paying a higher tax, potentially having a larger portion of social security be taxable, or possibly being required to pay higher Medicare premiums. How do you know if you qualify to make a QCD? • QCDs must not exceed $100,000 each year. (However, it’s important to note that this amount is not combined between households. Your spouse can also make a QCD up to $100,000). • The funds must be taken directly out of your IRA account by the yearly deadline of December 31st. • The funds must go to a qualified charity and the funds must be transferred directly to the charity. Unfortunately, not all charities qualify for QCD contributions. For a charity to qualify for tax-deductible contributions, they must be a 501(c)(3) organization. Those that do not qualify include private foundations, supporting organizations or donor advised funds. How do I report a QCD contribution on my taxes? For non-inherited IRAs, a QCD is reported on taxes as a normal distribution on IRS Form 1099-R. However, a QCD is reported as a death distribution for Inherited IRAs or Inherited Roth IRAs. It is important to communicate to your accountant that you have made a QCD, and to provide the information about how much you donated from your IRA. When doing your taxes, the QCD will reduce the amount of your IRA distribution that is taxable. These contributions will not be itemized charitable contributions, as most people have reported their charitable contributions up until this point. 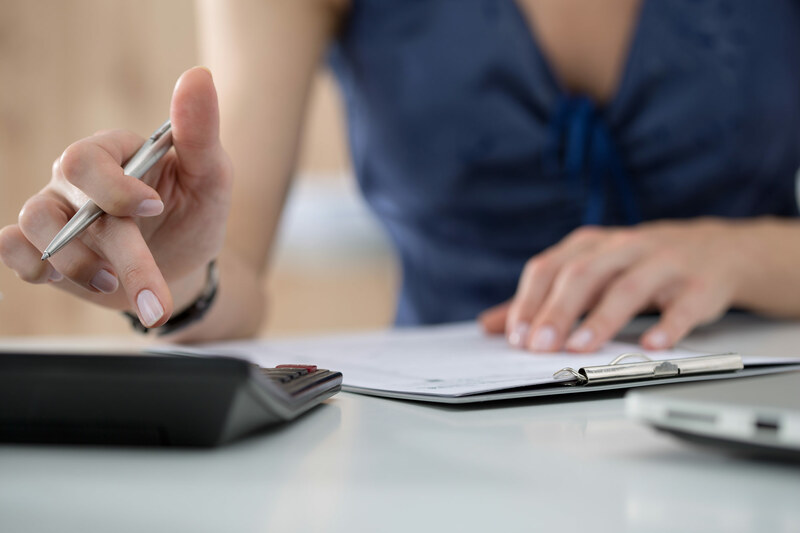 In this instance, a tax advisor could be helpful in properly reporting your qualified charitable distribution for tax purposes. It is important to note that state tax rules vary depending on your location. It is best to consult with a tax professional and let them guide you on the best way to go about your QCD contributions. If you are interested and qualify for QCDs in the South Carolina area, be sure to contact a Certified Financial Planner TM practitioner at Morris Financial Concepts. Our professionals are ready to help guide you in making strategic financial decisions. The opinions expressed herein are those of Morris Financial Concepts, Inc. and are subject to change without notice. This material is for informational purposes only and should not be considered investment advice. Morris Financial Concepts, Inc. is an independent investment adviser registered under the Investment Advisers Act of 1940, as amended. Registration does not imply a certain level of skill or training. More information about Morris including our investment strategies, fees and objectives can be found in our ADV Part 2, which is available upon request. MFC-19-05. CFP® certification is a voluntary certification granted in the United States by Certified Financial Planner Board of Standards, Inc. It is recognized in the United States and a number of other countries for its (1) high standard of professional education; (2) stringent code of conduct and standards of practice; and (3) ethical requirements that govern professional engagements with clients. Individuals who become certified are required to complete continuing education.